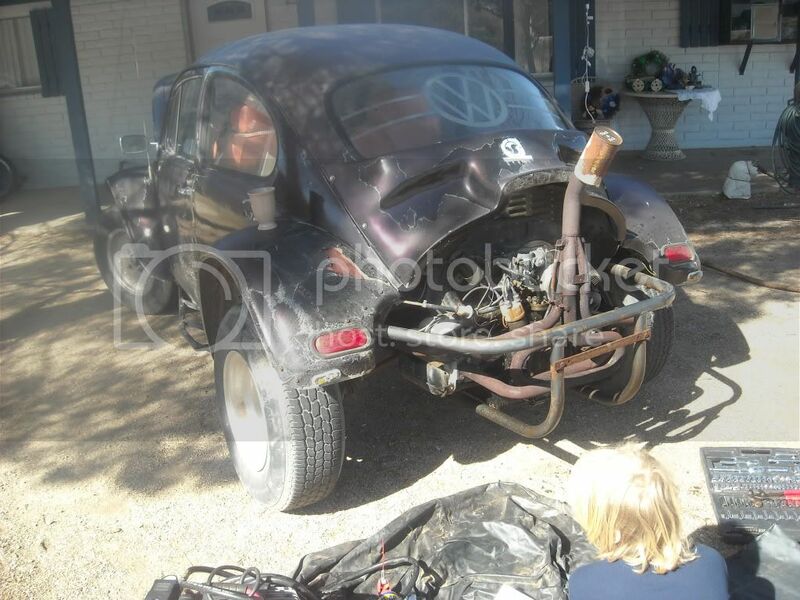 Ok, a few specs I've learned so far about my bug..It's got a ball joint front end, and an IRS rear. The carburetor is a 34 pict-3 Bocar, idk if that's a good carb or if there's a slightly better one I can get. (Sorry, I'm kind of a carburetor virgin ) And it's got a highway transmission setup. Any and all tips and suggestions for making this bugger (no pun intended ) run better are highly appreciated. Thanks. Post subject: New to Bajas? 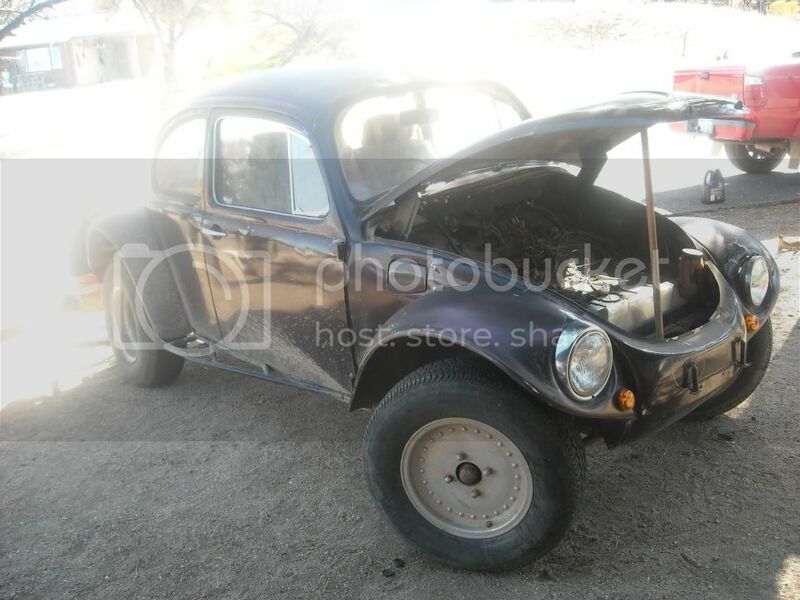 On page one of this post and post #10 Kevin said that super beetles were harder to convert to Baja's. Why and what years are the best to convert. New to VW's and Baja's. Most driving would be onroad with some mild offroad and dune runs On the Oregon cost. supers have macpherson strut front ends, which need to be replaced with a regular vw beam or a long travel setup to work offroad. There are whole threads and forums devoted to why one should not use a Macpherson Strut front end or a Super Beetle offroad. Reasons include hard to find body kits, strut suspension is very weak (in offroading terms) and not readily converted to long travel, pan extends quite a ways straight forward of where the beam pan ends resulting in poor clearance, and a number of other reasons. If you have a Super and want to offroad it, the body can be trimmed near the cowl for a regular 1-piece front clip (can be trimmed to fit a curved window), the pan cut off at the front bulkhead and a beam or a-arm front suspension mounted to a full cage, and then you've gotten rid of the objections. Hey everybody I am BRAND new to the vw scene. I bought a 68 about 4 months ago as a daily driver. I did misc to get her up and running. The wiring is like a blind, deaf, mute did it all while high and drunk. It is bad but it does run and for $600 I didn't figure I could do any wrong. I have always loved just going redneck and off road so I figured a Baja is the way to go. I know I am purchasing the book mentioned on the 1st post tomorrow. Any suggestions where I should really start other than that. This will be a lifted daily driver with the ability to cut out across a field and play in some mud. Not looking to impress anybody so looks don't mean that much to me as long as it gets the job done. When you say you have 4" of clearance...Do you mean between the tire and the fender when the car is sitting still? The stock swingaxle rear suspension should provide about 8" of rear wheel travel. The stock ball joint beam should provide about 5-1/2" of travel. The front travel is not going to improve much short of replacing it with a linkpin front end...which is not really a bolt-in swap unless you buy conversion trailing arms from Bugzyla. I get 10-1/4" of travel with my original 1958 linkpin beam/trailing arms and spindles with fabricated shock mounts and 8" shocks. The 3x3 rear kit requires a roll cage to mount the shocks to inside the interior of the car with the shocks through holes cut in the rear wheel wells. And IRS pivot brackets will have to be welded to the torsion housing for the trailing arms to mount to and stiffer torsion bars will be needed to handle the added leverage force from the longer arms and long shocks such as Fox or Kings will be needed also. It's not a bolt-in deal. Then you should be upgrading to a 002 or 091 Bus IRS gearbox with stub axles for Type 2 or Type 4 CVs, or Porsche 930 CVs, which also requires upgrade of the CV flanges on the gearbox. The 3x3 arms generally come without shock mounts on them and need those and the upper mounts and the IRS pivots fabricated by someone who is familiar with VW offroad suspension. I'm not trying to talk you out of this. I just want you to go in with your eyes open. And this was in response to...????????????? John from Vegas!! 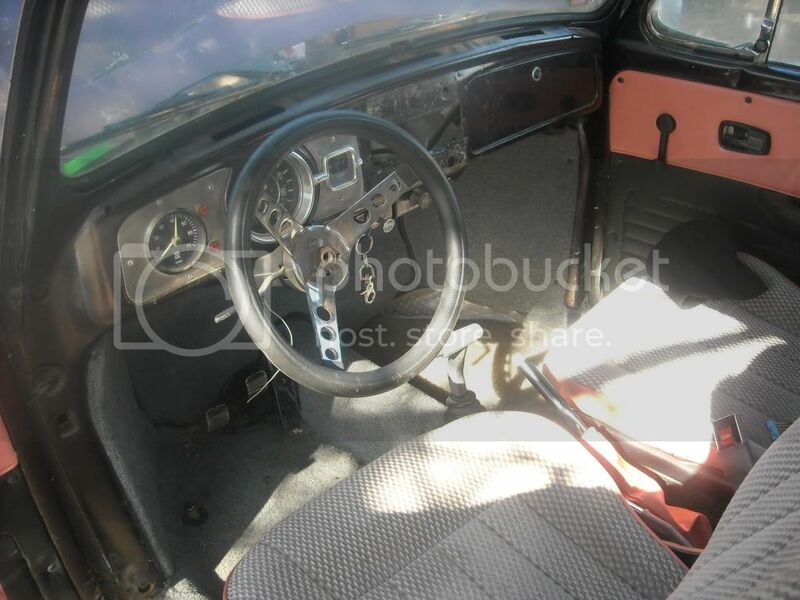 Looking for a pre smog rag top Baja that can be used as a daily driver. Don't want to go crazy with the mods, just keep it clean and functional. I have ordered VW Baja bugs and buggy and already own "how to keep your VW alive for ever. Looking forward to making new friendships. Good luck on your search for a Baja. Those are good books to have for a Baja owner. I used to race with Jeff Hibbard who wrote the Baja Bugs and Buggies book. In spite of the age of the book, most everything in it's still very applicable. Spend every minute with your family, you will never get that time back. Those "knock-off" wheels are called "spindle mounts" as the spindle nut is what holds the wheel on. They were never available with wide rims as that isn't what has been used on them for sand dunes over the decades. For 195s you do NOT need 6 or 7 " rims. i have 7.00-15s on 3.5" rims on mine. My buddies use 205s on their 4" rims. And desert racers running in Class 10 and Class 12 use 4" x 15" wheels with 33 x 10.50 tires all around. 195s are NO sweat. I can install them on my manual tire machine. If the tire shop guys think it won't work, they don't know what they're doing. But for desert use, it would be better if you got a set of drum brakes and hook them up. They will bolt right on your spindles as that's how the spindles came form the factory. Then regular wide 5 pattern wheels will bolt on. They may not be stylish, but stock 15 x 4 wheels work VERY well and are lighter than any of the "white spoke" wheels and only aluminum wheels like Centerlines are lighter. The stock ones are about as strong as the white spoke ones too. New Members New to bajas from Vt. 14 vtbaja 10860 New to bajas from Vt.